With few declared candidates and no clear frontrunner, the Republican presidential primary appears to be as muddled as ever. But I actually think things are shaking out in a way as to clear the path for Tim Pawlenty. My view of the primary selection system is that it consists of two basic constituencies, the elites and the base. The elites want to find a candidate who is electable and committed to their policy agenda. The elites are the prime driver of the process; they can communicate, via organs like Fox News and The Weekly Standard, which candidates may be undeserving of serious consideration despite their emotional appeal to base voters. That’s how the elites have disqualified insurgent candidates like Pat Buchanan (too right-wing) and John McCain (too left-wing); they are now doing the same to Sarah Palin (too unelectable). But elites don’t always control the process. Sometimes they can get together and virtually determine the winner in advance (i.e., George W. Bush in 1999-2000), but, often, they can’t pick candidates without the assent of the base, which is capable of winnowing out elite-approved candidates. Think John Connally, Phil Gramm, or others for examples of candidates who made it through the elite primary but were nixed by the voters. So, if you want to find the next Republican nominee, you need to find a candidate who’s acceptable to both elites and the base. A good summation of the list of elite-approve candidate’s can be found in George Will’s column from last Sunday. Ruthlessly purging every candidate of potential candidate lacking electoral plausibility, Will lists five possibilities. Other candidates—Palin, Mike Huckabee, Newt Gingrich, or others—may have some appeal to the base, but Republican elites will probably be able to dissuade voters from considering them on electability grounds. Will’s five: Indiana Governor Mitch Daniels, Mississippi Governor Haley Barbour, former Utah governor and departing ambassador to China Jon Huntsman, former Massachusetts Governor Romney, and Pawlenty. One way to arrive at Pawlenty is through process of elimination. I’ve argued many times that Mitt Romney is fatally wounded. If he lacked any serious competition at all, he could possibly—maybe—consolidate establishment support and fend off attacks on his health care plan. But, in a contested race, he simply has no answer for attacks on Romneycare. Romney is finished. Huntsman, too, will be disqualified as an ideological traitor for his service in the Obama administration, a weakness compounded by his lack of name recognition, which will serve only to make his Obama connection a more prominent part of his identity. Barbour is the kind of person the party elites would love to have as president but would hate to have as presidential candidate. He’s a walking GOP stereotype who has never had to run outside of a wildly Republican state. I have expressed constant astonishment at the possibility that elites would rally behind such a clearly unelectable nominee. The mere fact that Barbour’s candidacy has advanced this far gives me pause, but I continue to believe the party establishment could not possibly be so inept as to nominate him. Then there’s Daniels. He has the advantage of strong elite connections, through his service in the Bush administration, and a reasonably compelling case to make to the base. But he has severe weaknesses that have gone largely unnoticed. Social conservatives hate his call for a truce on social issues. Economic conservatives hate his humane health care reform. As a short, bald former pharmaceutical executive and Bush administration official, Daniels is not a whole lot more electable than Barbour. Plus, he sounds unlikely to run, anyway. That leaves Pawlenty. He has demonstrated political talent, having worked his way up the party hierarchy and winning the governorship in blue-ish Minnesota twice. His record contains only one major ideological deviation—support for cap-and-trade, at a time when cap-and-trade seemed to be emerging as a consensus GOP position, which he has thoroughly recanted. Because cap-and-trade is dead with no prospect of revival, I think Pawlenty could survive this apostasy. Ramesh Ponnuru’s cover story in National Review makes a persuasive case for Pawlenty as the strongest combination of conservatism and electability. In the end, Pawlenty’s calling card is an ability to appeal to white working-class voters. 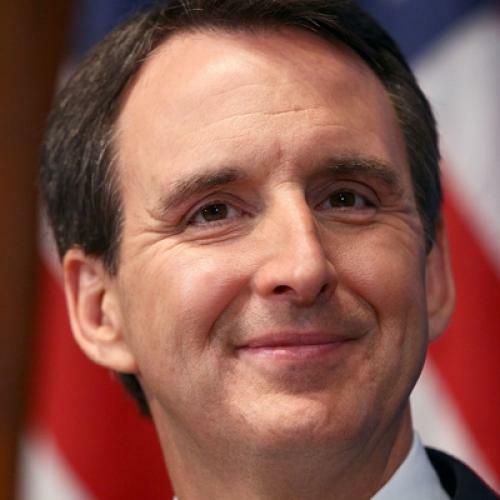 Pawlenty calls himself a “Sam’s Club Republican.” The phrase has also been used by Ross Douthat and Reihan Salam in urging the party to adopt a more working-class friendly platform. But the coincidence between the two uses of the phrase ends there. Pawlenty does not dissent in any way from the party’s plutocratic platform—his notion of working class appeal lies purely in the realm of personal style. This, too, places Pawlenty squarely in the George W. Bush mold of nominee, a reasonably (though not wildly) talented pol who uses charisma to demonstrate working-class authenticity while reliably toeing the party line. I’m not going to proclaim Pawlenty a lock or even an outright favorite. But I do see him as the leading contender, and his intrade value (currently showing a 13.5 percent chance of winning) should probably be two to three times higher. In a wide-open field, Pawlenty is where I’d place my bet.